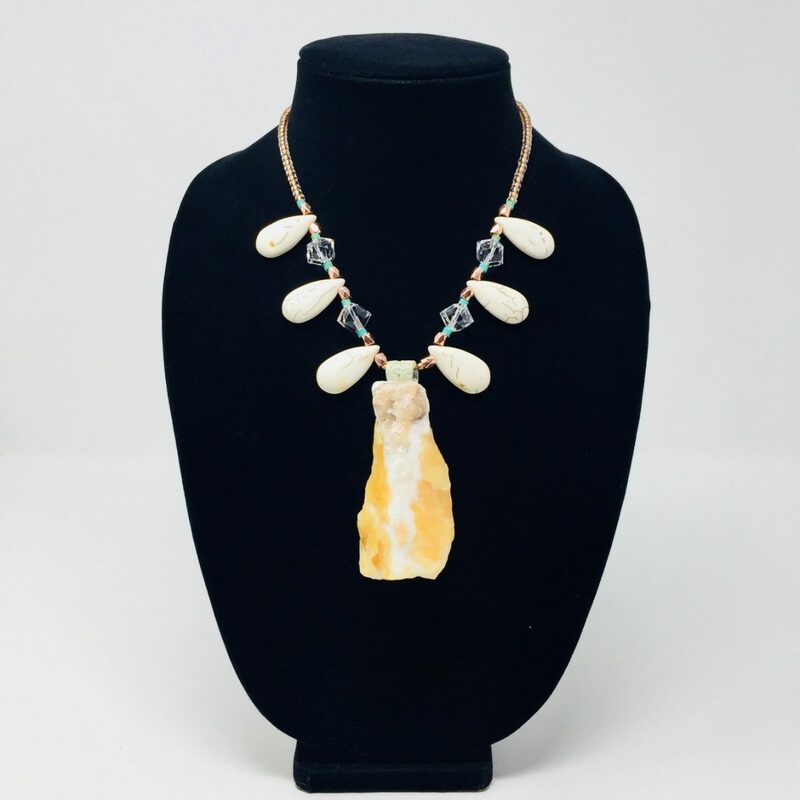 Yellow Calcite is an uplifting mineral that brings deep relaxation and calmness. It is known as the teacher stone for its ability to improve intellectual understanding and the ability to teach. It will link you to your higher self and inner guidance. ENERGETIC PROPERTIES: Yellow Calcite is an uplifting mineral that brings deep relaxation and calmness. It is known as the teacher stone for its ability to improve intellectual understanding and the ability to teach. It will link you to your higher self and inner guidance. HISTORY: Ancient Egypt used calcite artifacts to adorn the tombs of their Pharaohs. 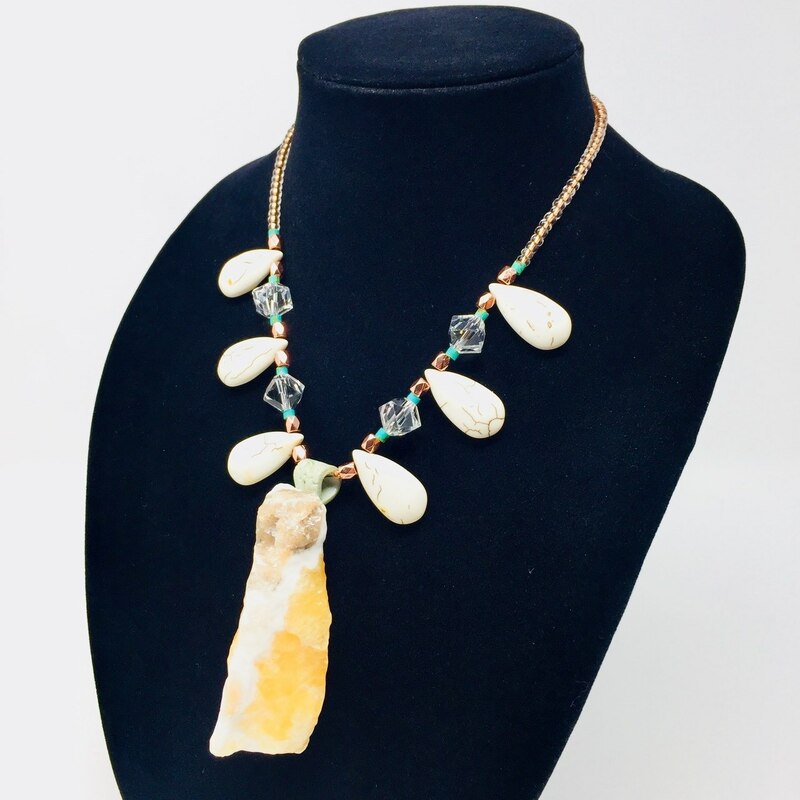 Being considered an earth element, calcite has been used to amplify energy and to cleanse energy blockages in the body. 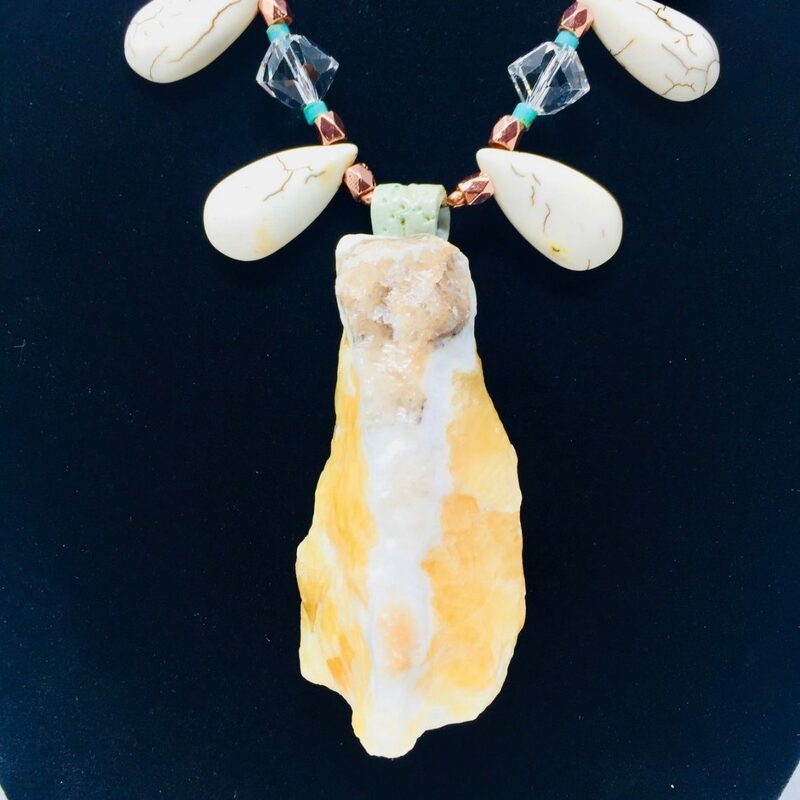 INFLUENCES: Yellow Calcite lifts depression, increases vitality, awareness, empathy, compassion, inner strength, motivation, self-worth, positive energy, inner clarity and psychic intuition, cleanses auric energy field, purifies toxins in your environment. 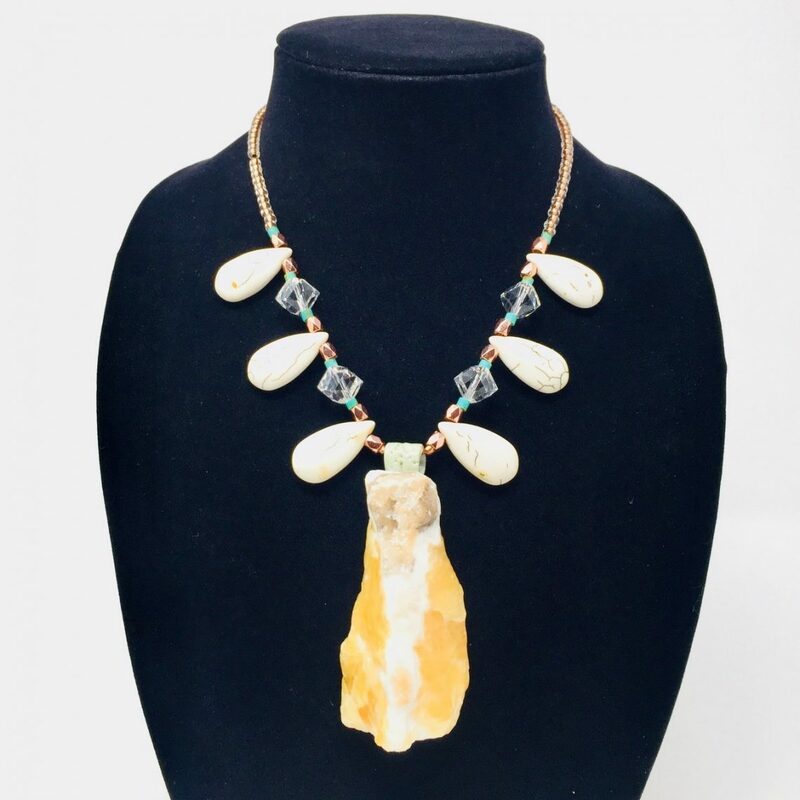 MATERIALS: Necklace features a very unique angel like look on the face of the Yellow Calcite mineral pendant. 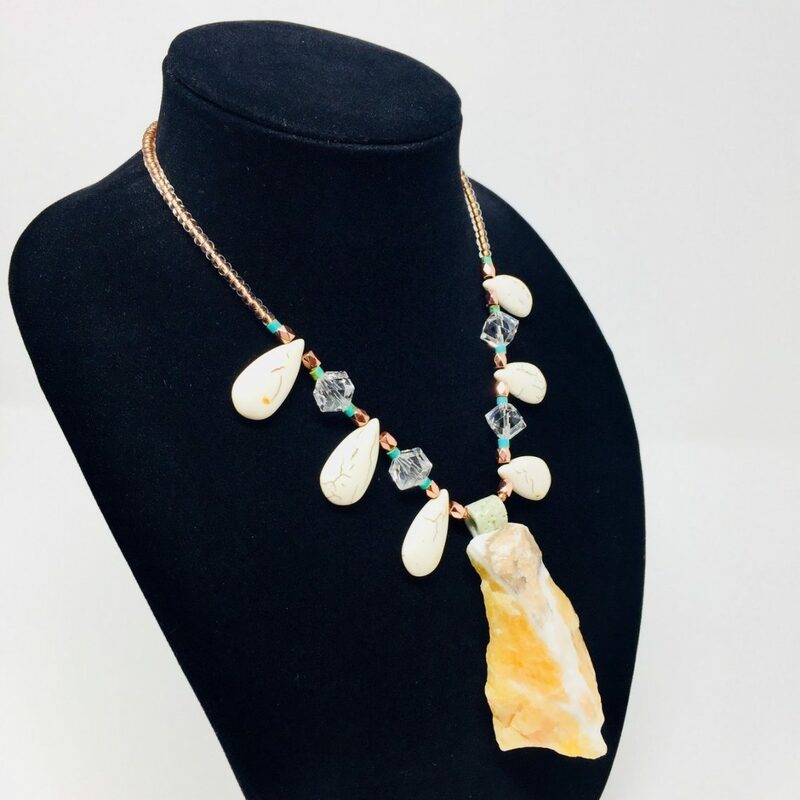 Adorned with grounding blonde magnesite teardrop stones, authentic hand carved turquoise beads from the Apache Tribe, Swarovski clear quartz crystals, copper beads, copper clasp and copper signature tag. Intuitively selected and lovingly crafted by the hands of a genuine healer.